Yellow stains on the teeth generally depends upon what the perception of the patient is when it is yellow or when the patient says that the teeth is yellow. Two things we have something called as secondary dentin formation. As the teeth ages, the teeth generally turns out to be a little more yellowish. That is because there is a deposition of secondary dentin within the tooth which will make the tooth looks a little yellowish. 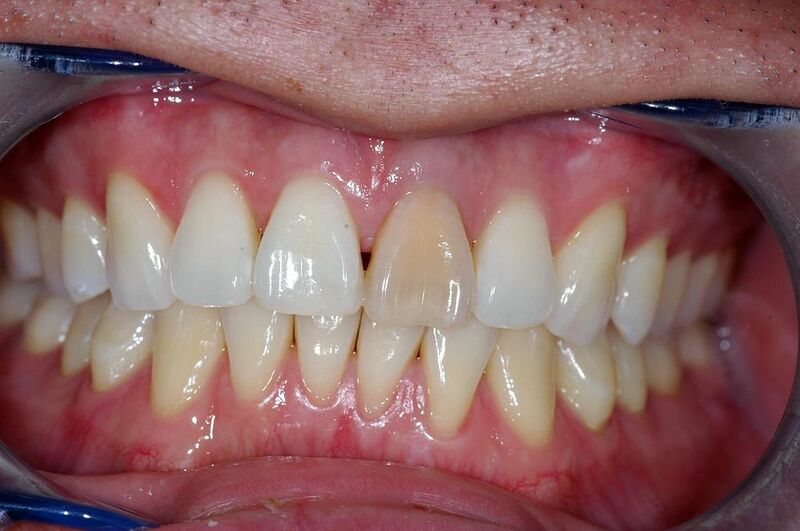 Some patients will have naturally yellow teeth that can be because of hereditary or the tooth is formed that way, but otherwise if there is a fluorosis condition then the tooth can look a little yellowish and chalky and patchy it can also be because of stains caused due to some medical agent.